Buffed Up Protein Porridge Bonanza! 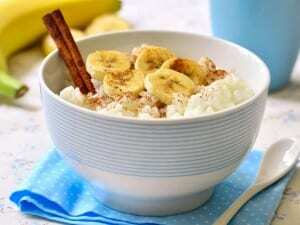 Do you love porridge in the mornings??? Especially in the UK winter. Do you ever get absolutely hank marving (starving!) though after just a couple of hrs of eating a bowl? One way to increase your protein intake for the day and to increase satiety levels (to prevent snacking) is to add a scoop (30-40g) of whey protein shake and mix it in with your porridge each morning. Add in a banana + either a handful of nuts (20-30g) or a scoop of almond butter (20g) to fill you up even further. That’s a knowledge bomb for you right there.